The world’s first “overwater bungalow coworking space” will be available to globetrotters who enjoy working vacations on tropical islands off the coast of Belize. Travel and Leisure magazine featured the bungalow in a recent issue. It’s a sign of how the former British colony in the Caribbean is catching on as a tourism destination that CNN explored in a recent piece. Turbulent winds blow in Belize’s politics, however. Belizeans were supposed to vote on April 10 for or against taking a territorial dispute with Guatemala to the International Court of Justice (ICJ). Guatemala held a referendum on the same question last year. Almost 96 percent of those who voted favored letting the ICJ settle the dispute. See the election results here. Guatemala is demanding sovereignty over around 53 percent of Belize in a claim dating from Spanish colonial days, the Economist explained. Britain took possession of Belize in the 1800s as Spain withdrew from Latin America. In an 1859 agreement, Guatemala renounced its claim on Belize – then called British Honduras – in exchange for Britain building a road from Guatemala City to the Caribbean. But the road was never built. Today, Guatemalan officials insist they’re entitled to a chunk of Belize or compensation. In Belize, the referendum has understandably stirred controversy. Some Belizeans argued that it was dangerous to give an international body jurisdiction over half the country. 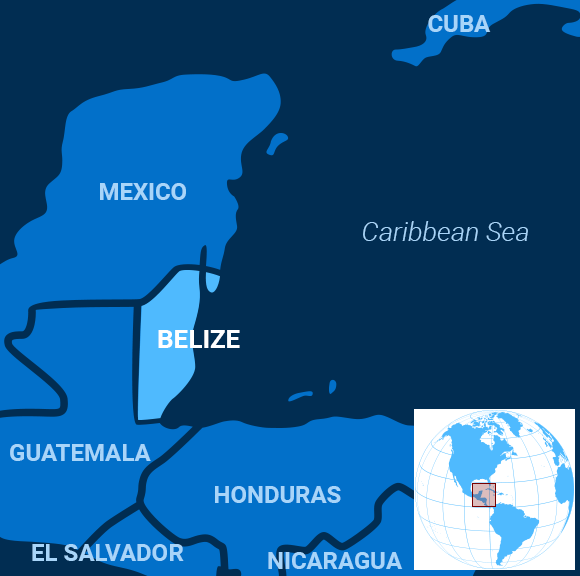 The two countries were supposed to vote simultaneously on whether to go to the ICJ, but Belize opted to delay while Guatemala pressed ahead, reported Amandala, a local newspaper. Critics want to halt the process altogether. A group of opposition leaders recently persuaded the country’s Supreme Court to delay the April 10 referendum. They argued that the foreign minister lacked constitutional authority to enter into an agreement with a foreign country that entailed a referendum, saying that was a job for the legislature. The court’s chief justice agreed to postpone the vote while the constitutional question is decided, a ruling expected next week. The ruling caused anxiety among some Belizeans. “The uncertainty of what happens next is a sea of unknown possibilities or a chasm to nowhere,” wrote the Reporter, another local outlet, suggesting that the legal tug of war may have just begun. Opposition leaders who raised the constitutional challenge are calling on the government to respect the chief justice’s ruling in the wake of reports saying election officials were preparing to proceed, Breaking Belize News reported. But those same politicians are also under fire in the wake of threats made against Lisa Shoman, the government attorney who defended the referendum in the Supreme Court case. It’s understandable that many would be reluctant to gamble more than half the country’s territory. But undisputed borders make for good neighbors. At least 14 anti-government protesters were killed in Sudan Tuesday as security personnel loyal to President Omar al-Bashir fired tear gas, rubber bullets and live rounds into the crowd gathered for a mass sit-in outside the army headquarters in the capital, Khartoum. Since the latest protests began Saturday, a total of 22 people have been killed, including five soldiers who were defending the protesters, the Central Committee of Sudanese Doctors (CCSD) said in a statement, Al Jazeera reported. More than 60 people have been killed since the broader movement began, according to activists. The government put the death toll from the latest round of protests at seven people. Sparked by rising bread prices in December, the protests early on morphed into calls for the ouster of al-Bashir, who has ruled Sudan for three decades. More recently, protesters and the opposition Sudanese Congress Party (SCP) have called on the country’s military leadership to join in their push for the establishment of a transitional government. On Monday, however, Sudan’s defense minister suggested such a move would not be coming anytime soon. Japan lifted its mandatory evacuation order over parts of the town that houses the damaged Fukushima Daiichi nuclear power plant on Wednesday, saying decontamination work has lowered radiation levels. Japan ordered the town of Okuma evacuated eight years ago, when an earthquake and subsequent tsunami resulted in one of the world’s worst nuclear disasters at the Fukushima plant, forcing the town’s 10,000 residents to flee, Japan’s Mainichi newspaper reported. About 60 percent of the town where radiation levels are highest will remain closed, but the government and town hope that the lifting of the evacuation order will help speed the comeback. As of March, only 367 people had registered as residents in the 40 percent of the town that has reopened, however, and among those only 48 people have registered to stay overnight rather than make day visits. Prime Minister Shinzo Abe is scheduled to attend an opening ceremony for the new town hall on Sunday, though it will not officially open until May, and might also visit the Fukushima facility for the first time since September 2013. President Vladimir Putin unveiled ambitious plans to triple the size of Russia’s fleet of icebreakers and construct new ports on both sides of the Arctic shipping route in a bid to boost cargo shipments from last year’s 20 million tons to 80 million tons by 2025. Addressing leaders from Finland, Iceland, Norway and Sweden at the Arctic forum in St. Petersburg, Putin said Russia is already building three nuclear icebreakers to add to its fleet of four, and plans to have 13 heavy icebreakers, including nine nuclear-powered ones, by 2035, the Associated Press reported. That could put Moscow in pole position, so to speak, in the race to assert jurisdiction over parts of the Arctic as melting ice creates new opportunities for shipping and resource extraction, the agency noted. Already, Russia has modernized a string of Soviet-era military bases to strengthen its hold on the region, which is estimated to hold up to one-quarter of the Earth’s undiscovered oil and gas. Meanwhile, other leaders at the forum spoke of the need to focus on areas of mutual interest to ensure peace and stability. Desperate times call for desperate measures, goes the saying. This might have been the case for the ancient Neanderthals in the south of France when they had to eat their own kind more than 120,000 years ago, Cosmos magazine reported. In a study published in the Journal of Archaeological Science, researchers studied the bones of six Neanderthals found in a cave in southern France’s Rhone Valley, all bearing the trademarks of cannibalistic practices – cut marks caused by tools, dismemberment and gnawed fingerbones. Researchers noted that the now-extinct early humans were living during the late interglacial period, an era of rapid warming that changed the flora and fauna of the region. At that time, smaller rodents and reptiles started replacing the big game the ancient inhabitants hunted, which led to periods of malnutrition and sickness. Eventually, they engaged in cannibalism to survive. But Neanderthal flesh wasn’t as nutritious as that of animals like deer, and hunting other humans would have been fruitless since only a few hundred inhabited western Europe at the time. “They weren’t doing anything different to what modern humans would do in the same situation,” said archaeologist Michelle Langley, who was not involved in the study. Survival cannibalism has been documented in recent history, such as during World War II and among the survivors of the crash of Uruguayan Air Force Flight 571 in 1972.